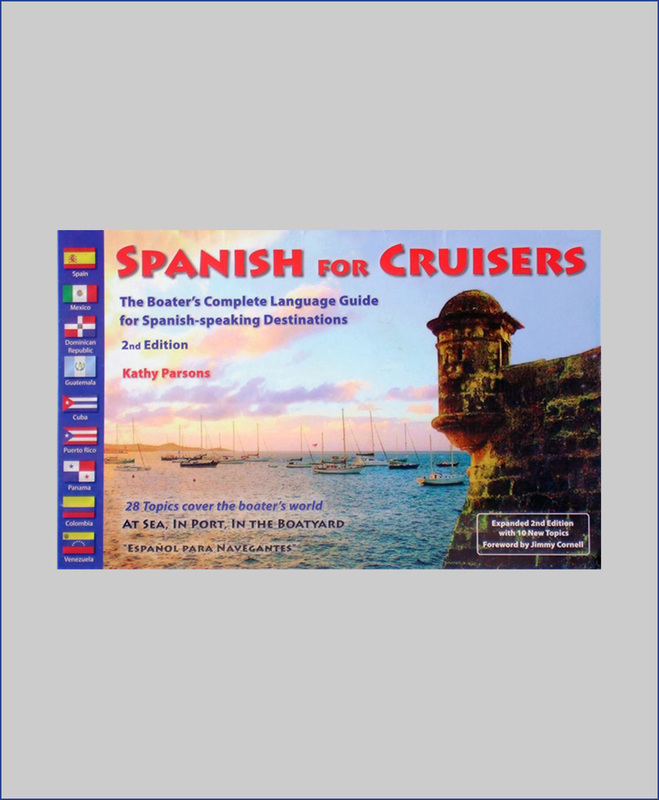 Nov. 2017: Pg 98: Marina Cabo Riviera: warning, entrance reported silted closed! Jan 2016: Pg 30: We were on the street outside Cruiseport marina trying to flag down a taxi to go to dinner but they were all occupied. After 10 minutes, my shipmate whips out her iphone – “Let’s try this.” Five minutes later we were in an Uber cab and on our way. Turns out Uber was cheaper and more convenient than regular taxis. After dinner we used the Uber app to order up another one and he was at the door waiting for us in short order. 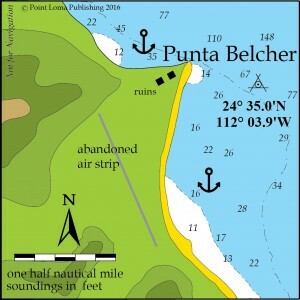 Jan 2016: Pg 74: In December 2015 we anchored at Belcher’s and did some more soundings and corrected the shoreline. Belcher’s is 3 n.m. inside Mag Bay to the north. 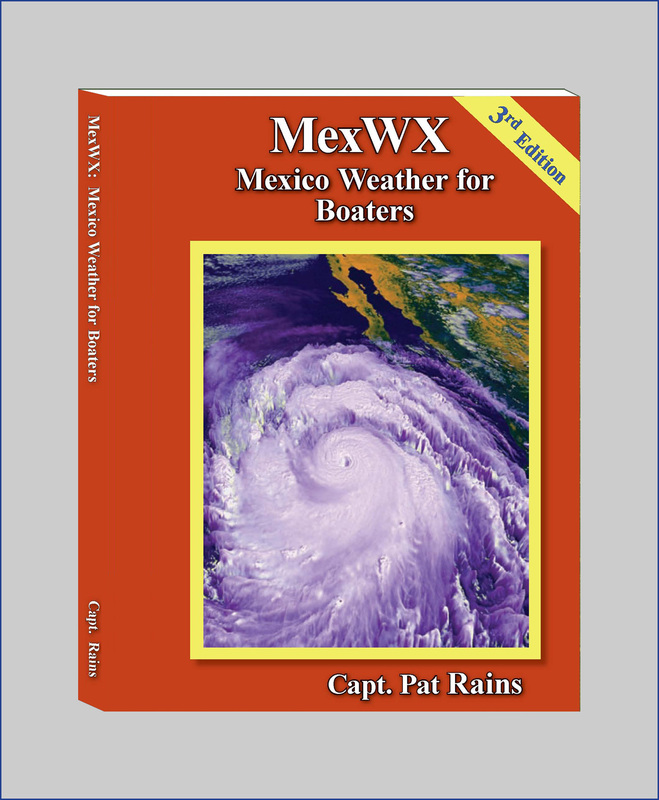 Although many boaters like to anchor in 30′ of water, here 30′ is quite away from shore and often you get a rolly wind chop. Anchoring in 12′ puts you closer to shore and gives more protection from the point, especially in a north wind which is common. Jan 2016: Pg 182: Sadly, fire destroyed at least 10 historic wooden buildings in downtown Santa Rosalia over Christmas. … The older Marina Santa Rosalia that sank during last hurricane won’t be rebuilt, owners say. 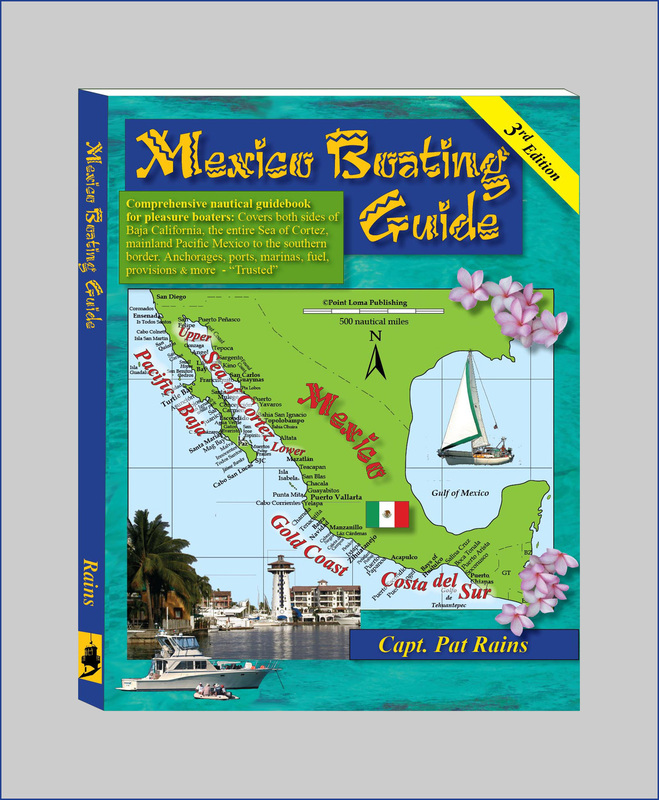 Aug 2015: Pg 17 – 20: New website www.sportfishinginmexico.com for International Arrival should be used by all recreational boaters (yatistas) and commercial sportfishers at least 24 hours prior to entering Mexican waters; Mexico’s federal agencies have made it super easy for foreigners (us) to get all our paperwork done in advance. Keep your receipts onboard. 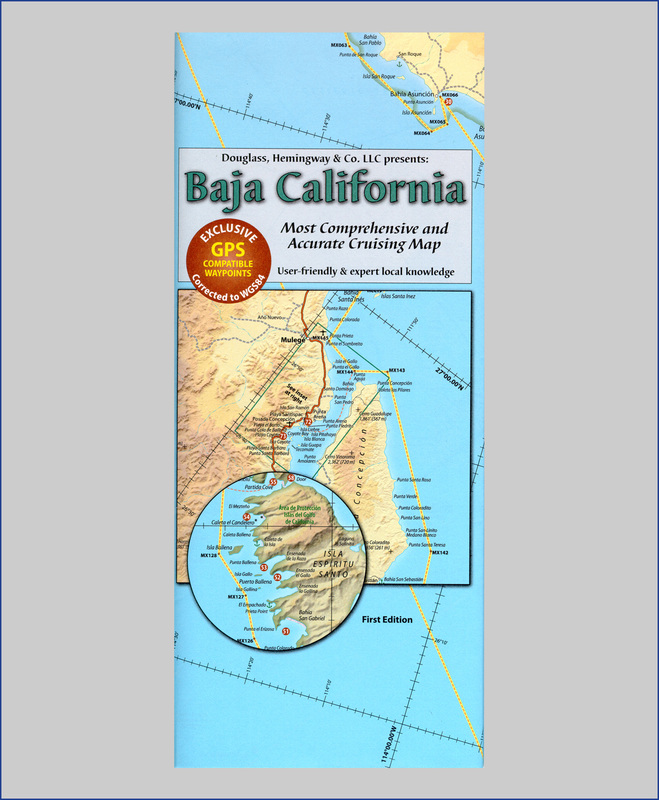 Between the Mexican border and Ensenada, do NOT stop or fish unless you already have all your Mexican paperwork & fishing licenses onboard. 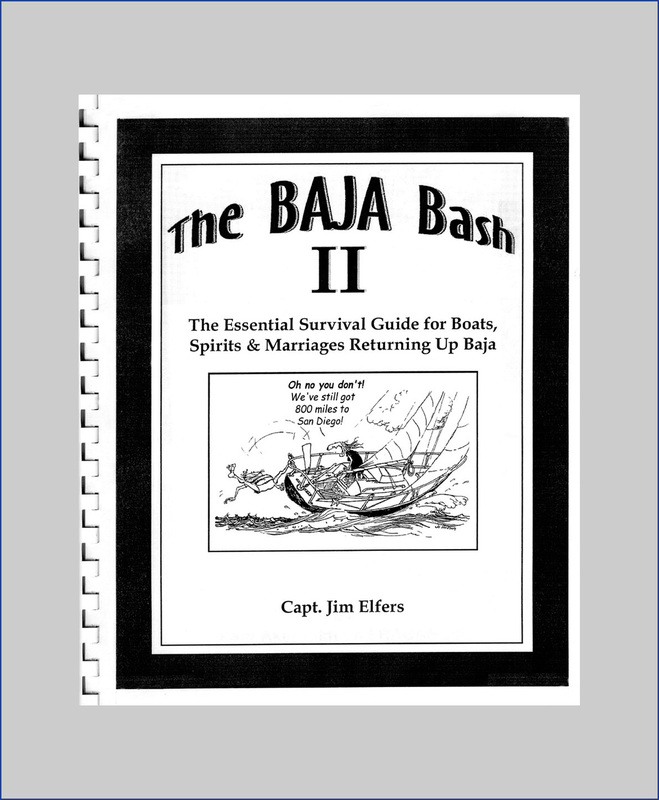 Baja Tourism alerts boaters that the Mexican Navy is now enforcing these laws. The Mexican Navy can board any vessels out to 200 n.m. (particularly including the Coronado Islands), can arrest violating vessels (recreational and commercial), can tow law-breaking vessels to Ensenada, can bus any law breakers (passengers, crew) to the US border. Pay attention, folks, and don’t get yourselves swept up along with politico “scoff laws” who continue to ignore Mexico’s maritime laws. 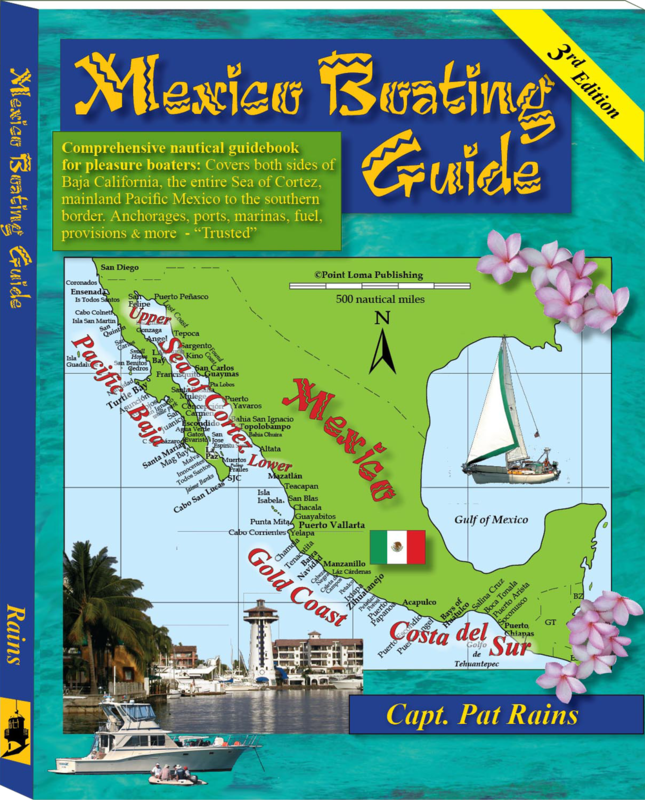 Feb 2015: Pg 91 – 92: Marina Puerto Los Cabos new phone (624) 105-6181 or 6028, email efernandez@puertoloscabos.com Marine Group Boat Works new phone (624) 105-6500. Marina & hotel damaged by hurricanes in 2014 but now fixed and open. Pg 115: Marina CostaBaja new phone in marina office is (612) 121-6255. Destination for 2015 CUBAR powerboat rally. New hotel on island between the yacht basins. Marina Puerto Escondido is new in the harbor. Marina Isla Cortes in Bahia Altata. 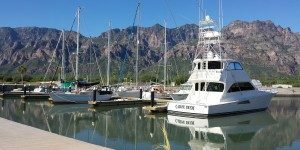 Pg 294 – 295: Marina Vallarta remodel is complete, new website is www.Marina-Vallarta.com.mx New dockmaster Christian Mancebo (322) 221-0722. Opequimar Marine Center yard and fuel dock has expanded. New GPS chart of PV municipal harbor. Jan 2015: Santa Rosalia: The original Marina Santa Rosalia was so severely damaged by Hurricane Odile that the owners decided not to repair it again; it’s essentially closed. Fortunately, the Fonatur marina and fuel dock in Santa Rosalia is open and doing well. Aug 2013: Marina Chiapas (Puerto Chiapas) is hauling yachts out of the water with the brand new 60-ton travel lift, both for repairs or dry storage (paved yard). 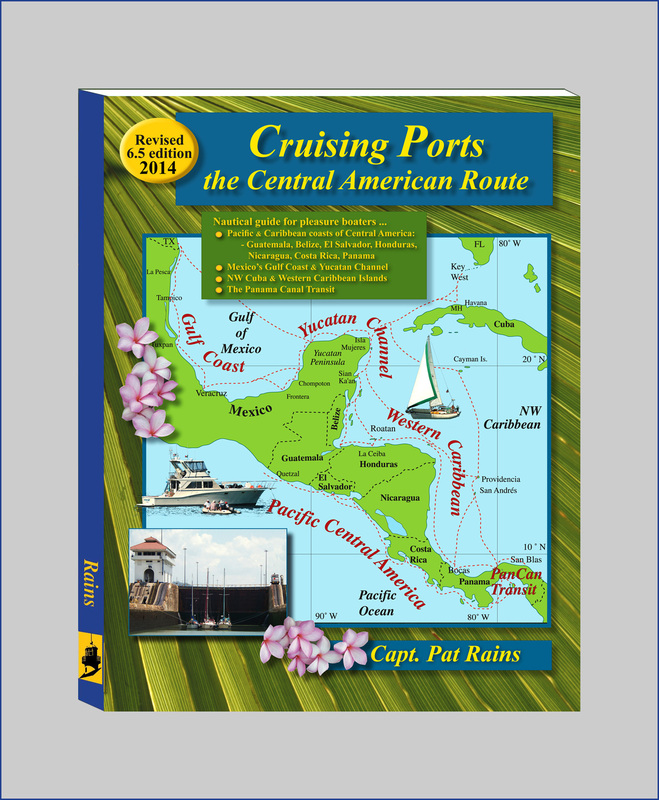 This new boat yard capability is a huge advantage for cruisers wanting to summer over on the hard in southern Mexico, or needing repairs before or after crossing the Gulf of Tehuantepec. Yes, the Pemex fuel dock is open. FMI, contact Marina Chiapas, Enrique Laclette www.marina-chiapas.com tel 9626956144 movil, tel office (962) 6204038. Correction Page 286. Dog leg waypoint between Cabo San Lucas and Punta Mita is 20° 56.0’N and 106° 26.0’W, to avoid 20-n.m. security perimeter around prison islands. New chart published since Aug 2012.